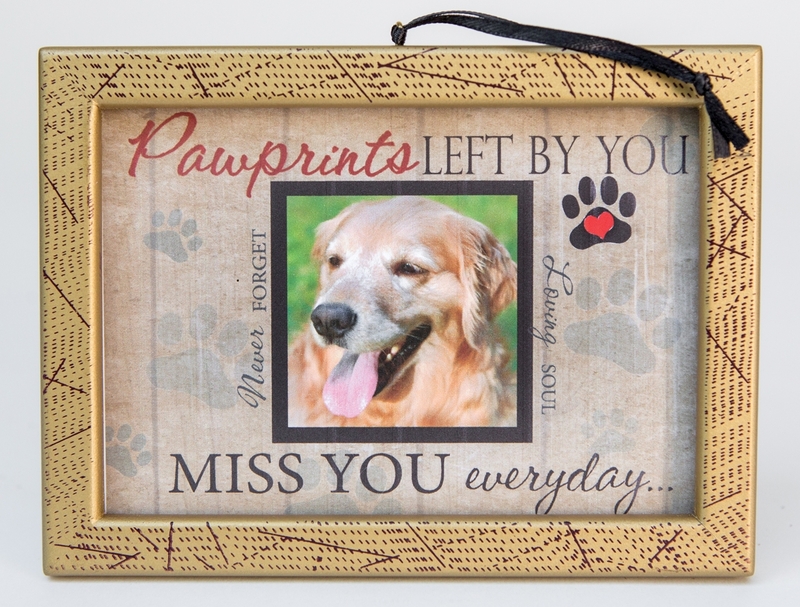 A pet condolence gift from one heart to another, our cat or dog memorial photo ornament is a beautiful new addition to our best-selling 'Pawprints Left By You' line of pet memorial gifts. 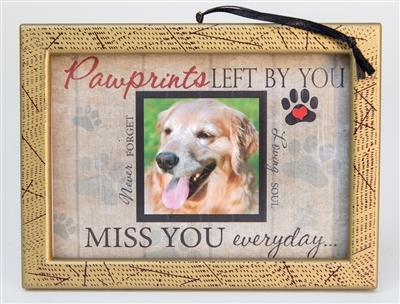 This 3.5x5" antiqued gold frame holds 'Pawprints Left By You' art with pet memorial sentiment and 2.5x2.5" opening for photo of lost dog or cat. Pawprints pet ornament comes with a special label on back to record name and date of lost pet.